Over the past years, the DotA community has grown to millions of fans and players from all over the world. Keeping that in mind, there are a lot of people out there being eager to hear from the creator of DotA. DL: What is your motor in working on DotA and how much time do you spend on it? IceFrog: The primary motivation would be developing a game that has high replay value and that I can enjoy playing myself. I love playing competitive games. I spend about 6 hours on average per day on map development, sometimes more depending on what issues exist. I also spend time playing DotA with people from many different communities and researching the differences amongst players from around the world. DL: Why is DotA so different from all the other competitive games and what makes it so significant? IceFrog: It would probably be the very heavy team oriented aspect of it. There are a lot of ups and downs during a single match which makes the players become very attached to the game and giving them avenues to improve themselves. Another factor is how each game feels different from the next one. DL: Did you ever imagine DotA becoming such a world hit? IceFrog: It makes me very happy to see how much the game has grown recently. It has become much bigger than I ever could have hoped for and it gives me great motivation to continuously develop and improve it. DL: What things in DotA do you plan on changing? 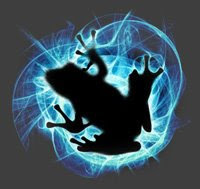 IceFrog: Well I don`t want to reveal too many specific things before they are fully developed, but there are a few things I think can be improved upon design wise; one of these is how powerups work. I am currently exploring a few different concepts on how they can be changed for future version to offer improved gameplay and added depth. DL: What do you think about dota-league.com and how do leagues, tournaments and pro players help improve DotA? IceFrog: It is a friendly and growing DotA community that seems to be focused on improving things. It provides a place for people that are new to the scene to get their feet wet and gives them plenty of room to advance. Tournaments, leagues and pro players in general help DotA in many ways. For the casual user, they provide an outlook as to how some strategies can be used and for many of them it also provides a motivator to play more games and get their friends involved. As a developer, it is great seeing how things change from version to version on the competitive scene and the more leagues that spawn, the more it helps provide insight into changes for future versions. DL: Will your development on DotA focus on competitive eSports even more in the future? IceFrog: Absolutely. Competitive gaming is something that is always on my mind and takes extra attention in many phases of development. I am always looking for features and changes that can help improve the experience that competitive players have during their games. This will certainly be the case in the long term as well. DL: As a european league, we know little about the Asian DotA scene. 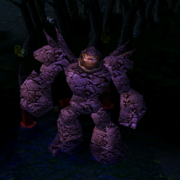 It is huge, no doubt, but does it influence the creation of DotA and the changes you add to it? IceFrog: The Asian community is certainly huge and has grown by leaps and bounds in the last year. Every DotA community has influence in some form or another. I make it a point to know what the playstyles and needs of the players are from each country. This is something that is actually given more attention than some realize. Some players are much more vocal than others, so it can be easy to make the mistake of assuming that everyone wants the same things from the game. It is rather dangerous and inhibiting to the progress of the game to be influenced only by 1 group of players. While I do certainly pay attention to the American and European gamers, I also focus on the feedback and needs of players from South America, Africa and Asia as well. DL: DotA with all its different items, heroes and complexity is quite hard for newcomers to get acquainted with and can take months to start actually playing properly. Do you plan on making it easier for beginners? IceFrog: I am working on a tutorial/walkthrough mode to help beginners, amongst other things. DL: What are your future goals for DotA? IceFrog: To continue to improve it and help it grow. As a player, what I look for in a game is clean simple design but lots of depth. There is always more work to be done in these areas to improve both the casual and competitive aspects of the game. DL: If you were stranded on a deserted island, which three DotA items would you take along? DL: You published your email address in the DotA loading screen. How many emails do you get there every day (roughly) and what is the craziest email you have ever received? DL: Any shoutouts to the community? IceFrog: I would like to thank everyone that helps to spread DotA and thanks to all the different DotA communities around the world for their support! IceFrog also posted some new Storm Spirit remake pictures. Christmas. Just go here to find it.